We take a break from civilized life and get our barbarian groove on with a discussion of Robert E. Howard’s character Conan, focusing on the 1936 serialized novel The Hour of the Dragon. Topics include the wide-ranging influence of these stories, reprehensible anthropological themes within them, the enduring appeal of the character, approaches to world-building, and Hobbes’ Leviathan. 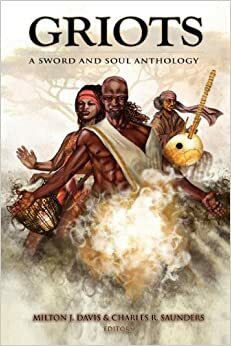 Fourteen tales of sword & sorcery by black authors set either in or places inspired by medieval Africa—Griots: A Sword and Soul Anthology (2011), edited by Milton Davis and Charles R. Saunders, is a great introduction to a movement that deserves a lot more attention from the fantasy community at large. The only story I didn’t finish was one that I literally could not read. More on that later. Swords and Spells in Lost Atlantis! Following Robert E. Howard’s death in 1936, the Weird Tales crowd demanded more Sword and Sorcery (S&S), and this ushered in a host of Howard imitators who took Conan as their starting point. Henry Kuttner took up that mantle in 1938 and brought us Elak of Atlantis, an adventurer who would swashbuckle his way through three tales that year and return for one last outing in 1941. In the intervening year, he also published two Prince Raynor stories, sword and sorcery of a statelier sort. 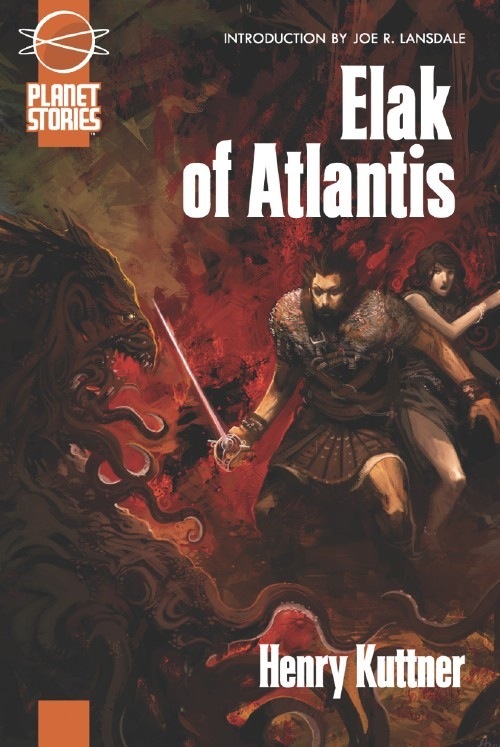 All these tales are collected in Elak of Atlantis, recently reprinted by Planet Stories. While Howard may have spawned a subgenre, these early forays into post-Howard S&S tend to be more interesting than the boom of the sixties and seventies—perhaps because Lin Carter and John Jakes hadn’t infected the waters yet with their shallow and derivative works. Elak of Atlantis certainly is derivative, and yet Kuttner’s work is made interesting by his significant divergences rather than the similarities to Howard. Knowing a bit of pre-colonial African history (and yes, Africa has a history, thank you very much Mr. Hegel), I’m often a bit let down by how under-represented African cultures are in the fantasy genre. The Empires of Ghana, Mali, and Songhai, the city-states of the Swahili Coast, the Kingdom of Kongo, the Kingdom of Ethiopia, Great Zimbabwe, the Massai and the Zulu, all have histories and oral traditions just as rich and fascinating as anything in classical and medieval Europe that a fantasy writer can look to for inspiration. The Sundiata epic has enough heroics, battles, and magic to put Beowulf to shame, but we’re more likely to find works influenced by the latter than the former. Fair enough, all things considered; if most fantasy started out from the pens of white Europeans (or those of European descent), we’re more likely to find those traditions propagated by fantasy thanks to familiarity. For the longest time, writers simply didn’t consider Africa as a place to draw traditions from: western historians believed Africa didn’t even have a history; scientific racism, helped along by a good dose of Joseph Conrad, painted sub-Saharan Africa as an uncivilized land filled with bestial savagery. What little civilization there was got attributed to outside sources: Arabs, or, in the case of Great Zimbabwe, Phoenicians. Now, however, the historical field has broken from these long-standing biases and recognizes African achievements. Thus, while I might feel let down by how few African-themed fantasy cultures are out there, I’m willing to let it pass on the grounds of either ignorance, disinterest, or concern for misrepresenting the cultures in question; I’m a bit more worried when those same nineteenth century attitudes towards Africa pop up in relatively recent works. I think you’re missing a point about sword and sorcery. Something I’ve noticed, which I think is a load of crap as well as hypocritical, is that the second a piece of fantasy gains recognition it stops being sword and sorcery. Just as their is literary sci fi vs. non literary (another foolish and hypocritical distinction) there is literary fantasy and sword and sorcery. Both those who attack and defend the genre often seem to make this distinction as a way of distancing so called “good” fantasy from the “garbage” of sword and sorcery. It doesn’t even matter if the “good” works follow sword and sorcery conventions, the second they gain recognition they cease to be part of this genre.